How Montessori Teachers Training is a Tool for Human Development? The Montessori Method of teaching is one of the path-breaking teaching processes in the history of education. The intense study and research of Dr. Maria Montessori have revolutionized the method of teaching. The application of her methods took place in the different times and in different parts of the world. In order to gain competence in this method, it is important for aspiring teachers to learn the Montessori Method of teaching systematically. The proper understanding of the method can help the teacher to implement the process of thatching and nurture the best result of it. In order to get a systematic understanding regarding the subject, an aspirant teacher needs to undergo a methodical training, A Montessori teachers training course from a reputed institution is the only option in this regard because conducting a Montessori teacher’s training demands certain technical efficacies and the development of this is not possible by a complete neophyte in this field. In order to provide training to the young one, a teacher needs to remain aware of the psychology of young people. In the Montessori teaching process, the teacher needs to work as the facilitator of the student. That is the reason she must understand the perspective of this teaching philosophy formulated by Dr. Maria Montessori. In this mode of teachers training, a credible institute can offer a complete exposure of the methods. One of the major findings of Dr. Maria Montessori is that the immediate atmosphere can offer a deep learning experience for children. As said earlier that the idea of child psychology is very important for a teacher in this regard and a training course for the teacher can offer the fundamental concept on the child psychology. During the time of teaching, the teacher can apply these concepts for an effective teaching. The process of learning cannot be concluded without applying these concepts in real life. There is a need for systematic training to become an effective teacher. These processes can be learned by taking up the Montessori teachers training course. The training of this type is relevant and important in contemporary times. It can be said in this context that Montessori training has opened up a path of career for young mothers. A qualified mother can nurture her child in an efficient way. 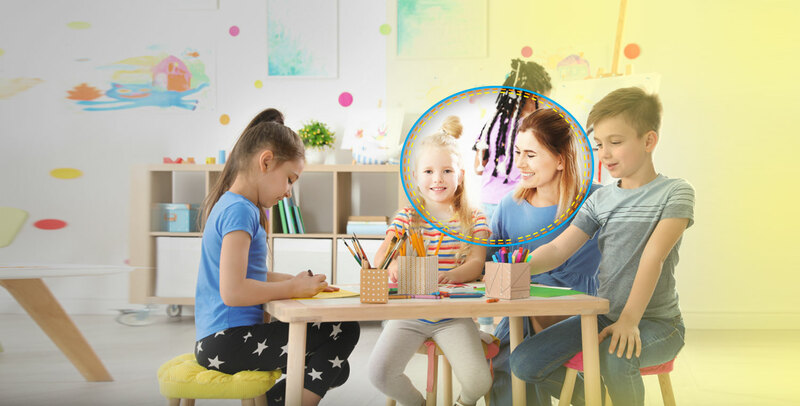 The basic development of the child can take place at home and families can construct the basic atmosphere where a child can get proper nourishment for the learning. The casual communication with the children can be the process of learning for her. That is the reason storytelling is one of the major parts of Montessori Method teaching which can be learned from the Montessori teachers training course. A child can learn through the process of communication and if the little child cannot understand language, the cognitive development will be hampered. Thus, the trained teacher will only use the language on the basis of comprehensibility of the student. The Montessori teachers training program identifies the potential teachers but at the same time, this program is offering a profuse contribution to society. This program supports the learning process of an individual mother so that she can interact with her child more successfully and can offer her basic education and help her in becoming an eligible human being to face the future. Additionally, you should know that the Montessori teachers training course is important if you want to become a teacher. This is because in schools all over the world the conventional methodologies of Maria Montessori are being followed. The program will enable you to crack interviews in all Montessori schools across the world. Play school training is one of the best ways to increase the interest of the child in education through games. Proper education can help them achieve things faster.